Daughters of the Dream: The Book! Last September, I launched my Daughters of the Dream blog to share stories about growing up amid segregation, integration, civil rights and the ongoing push for racial justice. Now, I have captured those stories, and so much more, in a book by the same name. If the blog speaks to your heart, your mind, or your soul, I hope you will order my new book. 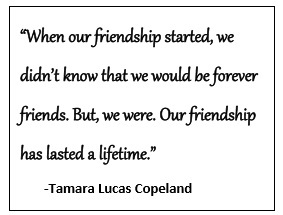 If you are a fan of Amazon, go to: https://www.amazon.com/Tamara-Lucas-Copeland/e/B07DLY2L2T/ref=ntt_dp_epwbk_0. 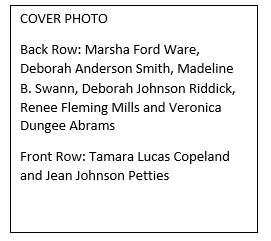 If Barnes and Noble is more your choice, here’s the link: https://www.barnesandnoble.com/w/daughters-of-the-dream-tamara-lucas-copeland/1128850552?ean=9781937592813. And, one other option—Books A Million has the book at http://www.booksamillion.com/p/Daughters-Dream/Tamara-Lucas-Copeland/9781937592813?id=7284467936313. For all the options, the book can be pre-ordered before its release on June 18. 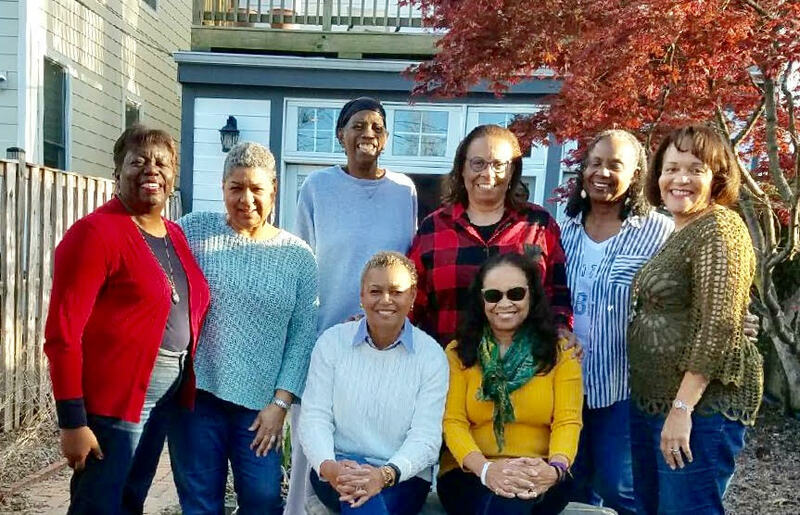 Through vignettes of the life experiences of eight friends from Richmond, Virginia, the book presents one person’s perspective of what it truly is like to be black in America. Let me know if it makes you think differently, opens your eyes to another reality, or if it simply reminds you of meaningful life experiences. Can hardly wait to read it!!!!! Congratulations! I’ll have my copy ready to be autographed for our annual “birthday “ luncheon in July! Hey there, I look forward to it. Please share with Erin. So proud of you – a published author! One of my life’s dreams. Thanks, Danny. You can do it! Ordering my copy today. So proud of you. Thanks so much. I look forward to hearing your thoughts. Congratulations, Tamara! I will be ordering the book from Amazon today. Looking especially forward to sharing it with the grandchildren and my daughter’s second grade class in Richmond. Thanks Fredrica. I am so glad that you are planning to share it. I look forward to hearing everyone’s reaction. Your book arrived today! Immediately looked at all of the pictures; it will be going to the beach with me. Frederica, wow, your beach read! Can’t wait to hear what you draw from the book or if it doesn’t resonate at all. I would really appreciate you adding a review to Amazon. Okay, holding my breath now. You KNOW I am going to buy it! Thanks Linda. I look forward to hearing your reaction. Pre-ordered. I can’t wait to read it! Congratulations, Tamara! Thanks Mark. I look forward to hearing your reaction. I just pre-ordered my book. I can hardly wait to read it. I am one proud cousin! Thanks Towanda. I am looking forward to hearing your thoughts.